We wanted to share today's experience with all of you because without your support it would never, ever have been possible. 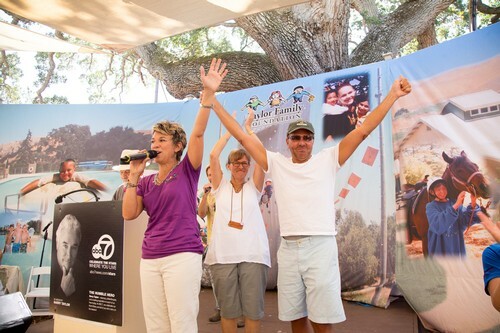 This afternoon "Team Rivera Vineyards" (that includes you) donated our wine to the Taylor Family Foundation's "Day in the Park" fundraising event and generated $150,000! That's enough money to send 1800 children suffering from life threatening illnesses to camp next year! We only wish you could have been there with us to see it first hand but please know, you were there in our hearts and minds and we love you and we thank you for always supporting our mission when we call on you! We couldn't make this magic happen without your help!